Periodically we like to give tips on what makes full-timing so much fun or easier for us, usually a gadget. This time it is the Portable RV Water Softener. For the first couple of years of living full-time in our RV we dealt with the issue of hard water clogging up our kitchen sink aerator and showerhead, no telling what it was doing to the plumbing. We never were happy with any of the salt based softeners so we did nothing, until we came upon the Portable RV Water Softener from Filter Water Direct. Inside is a catalytic insert that uses Filtorsorb as the catalytic media. This technology breaks down the calcium in the water using a catalytic action and converts it to a harmless form of calcium referred to as araronite that passes through the plumbing system without clinging to pipes or fixtures. 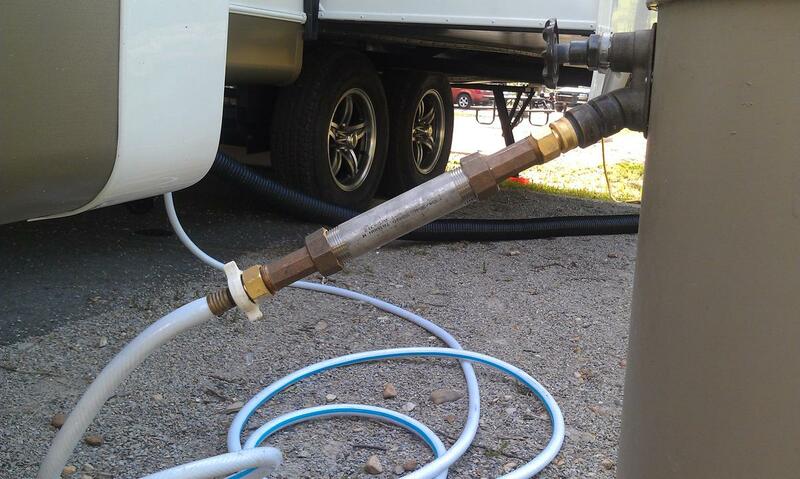 Here is a photo of the Portable RV Water Softener attached to a hose. We approached this with a little skepticism because it sounded too good to be true. It was about the same price as a salt based system so we decided to give it a whirl, its only money right! We have to put in a disclaimer that this is all anecdotal evidence and we did no scientific analysis of the water. We put in a new aerator and cleaned the showerhead right after we installed the Portable RV Water Softener and waited. Usually we had to remove the aerator about once a month and tap out the hard water deposits collected and had to soak the aerator in vinegar a couple of times during our 5 months in Goodyear AZ. After we left Goodyear we realized we had not done either removing the hard water deposits or cleaning the aerator in vinegar. For the showerhead we usually had to clean it at least once in vinegar and 5 months later we did not have to do that either. 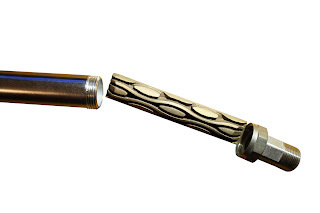 There is one drawback and that is that the catalytic insert periodically needs to be taken out and cleaned with a bristle brush. Not knowing what periodically means we decided to check on the catalytic insert after 6 months of usage. While there was some buildup on the insert it was not as bad as we thought since the Goodyear water is incredibly hard. Taking it out and cleaning it led to our realization just how good this thing was working. Bob took it off and we took showers once or twice while he was cleaning it and putting it back together. After Bob put it back on and Jo took a shower she immediately commented as to how the water was softer and her skin was a lot less itchy. All showers were in the same location so presumably the water did not change. So we are sold on the Portable RV Water Softener. Here are some tips for installation; Bob had to take it apart and put teflon tape on the machine threads and buy some machine thread to plumbing thread adapters and then add some teflon tape on the plumbing threads to eliminate the leaking around the filter. Here is a photo of the Portable RV Water Softener with a cutaway showing the insert. 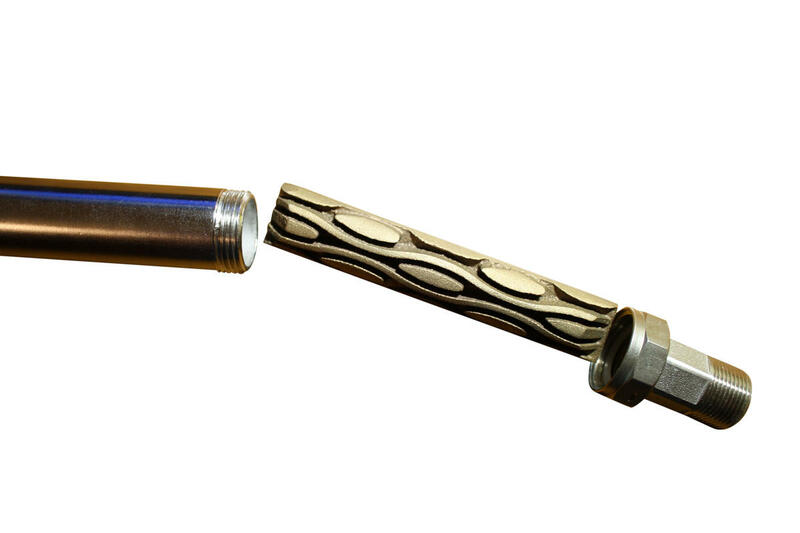 Here is a photo of the catalytic insert. Thanks for this information. 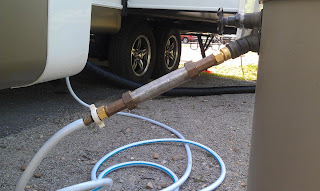 I was concerned about what the hard water might be doing to the plumbing in the RV. I am adding this to my shopping list. Actually we quit using this a while ago and am using the OnTheGo Portable Water Softener. Let us know how this works. Where has Herring been all our lives? 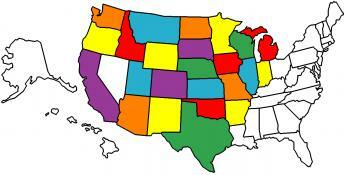 Can you guess where these pictures were taken?